The Doomtree Crew recently announced the dates for their annual First Avenue Blowout, which will take place on both December 10th as well as December 11th (All Ages). A portion of proceeds from ticket sales will benefit a local non-profit. 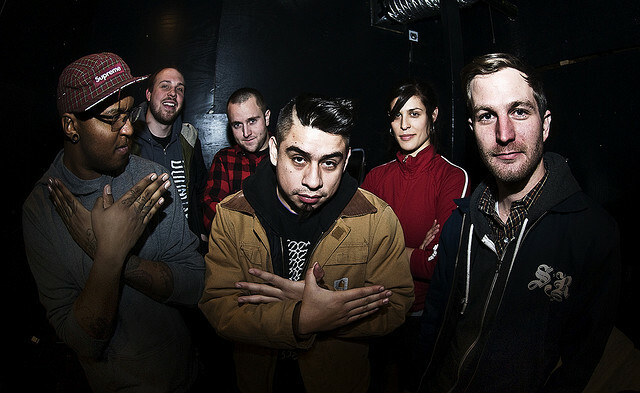 Every December, the Doomtree Blowout is one of the winter’s most memorable shows. The seven members of the collective combine their talents and their lunch money to throw a year-ending party at First Avenue’s mainroom. They donate a portion of the proceeds to a local non-profit. This crew is already gearing up to head out of town on their Wings & Teeth Tour. As the individuals in Doomtree gain more notariety for their solo projects, the Blowout has become one of the few opportunities to see the entire roster on share the stage in their hometown. This year, for the first time, they’ll put on two shows, one for the drinkers and one for the all ages crowd. $3 in advance, $5 at the door. Doomtree will be running a coat drive at both the ID and the all ages show. Bring new or gently used coats for kids or adults and we’ll help get them around people who need them. Tickets for both shows and the December 10th after party are available now, from the First Avenue site. they actually announced the dates & details for these at the Lazerbeak CD release show almost 3 weeks ago and tickets went onsale that following Sunday.